It hasn’t been the smoothest road, but after its launch in the summer of 2015, Windows 10 has finally surpassed the 8-year old Windows 7 as Microsoft’s most popular operating system. According to Statcounter, Windows 10 ran on 42.78 percent of Windows computers in January 2018—versus 41.86 percent for Windows 7. In raw numbers, Windows 10 has been installed on over 500 million devices as of last May, which is impressive, though still short of the 1 billion goal Microsoft’s head of Windows and devices Terry Myerson predicted at Build 2015. At this point, you might be sarcastically saying to yourself, “big deal, so what?” Actually there are a number of reasons why you should care. First and foremost is updates, because Microsoft has already shut down mainstream support of Windows 7. So while you’ll still get periodic security patches until extended support for Windows 7 ends in 2020 (which isn’t really that far away), you shouldn’t expect any more new features or improvements to hit Win 7. Another reason is simply that Windows 7 is old. Released in 2009, Win7 wasn’t designed for the kind of modern computing environments we have now. It doesn’t handle high-resolution displays (or multiple-monitors) very well, there’s no built-in support for things like fingerprint readers or Windows Hello facial recognition, and trying to use a touchscreen on something running Windows 7 could be considered a form of cruel and unusual punishment. And don’t even get me started on Windows 7's pitiful stylus support. Even compared to the unpopular flop that was Windows 8, Win 10 offers a lot of improvements, including the ability to snap windows to corners, meaningful summaries of what’s going on with your system’s storage, a way better notification system, and more. 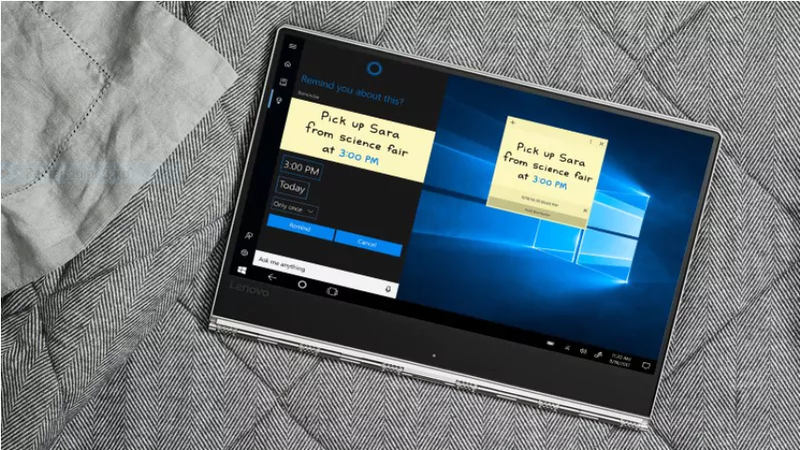 And of course there are also things like Cortana that give you new ways to use and interact with your device. If you care about gaming, you’re actively hurting yourself by refusing to upgrade. DirectX 12, a graphics library used by developers to render all the fancy polygons and effects you see in modern games, is only available on Windows 10. Sure, your games will still run on older OSes, but they won’t run as fast or efficiently as they would otherwise. Windows 10 also has built-in functions that let you take screenshots or recordings without disturbing your gameplay using simple shortcuts. For people who own an Xbox things get even better with Windows 10, which allows you to stream games from your PC to your console, stay in touch with all your friends via the Xbox app, and even play games purchased on Xbox on your computer (or vice versa) thanks to Microsoft’s Play Anywhere initiative. After Windows 10 came out, Microsoft gave every Windows 7 user a free upgrade to its new OS. And while I wouldn’t fault people for not upgrading immediately, there’s not really an excuse anymore. Luckily, it seems that despite Microsoft’s plans to shut down the free upgrade service for Win7 at the end of 2017, the program seems like it’s still working, at least for now. Now I understand that some folks may not have the option to upgrade due to draconian office policies or potential software incompatibilities, but that shouldn’t account for half a billion people still using Windows 7. So what are you waiting for, it’s time to upgrade. Even though most people don’t like change, it’s not cool to be the last person at the bar, drunkenly reminiscing about the good ‘ole days while everyone else is trying to clean up and shut things down.